The issue of the 'Thatcher Papers' and the controversy about the hunger strike, is part of Irish history that many revisionist historians, have already set to work on. 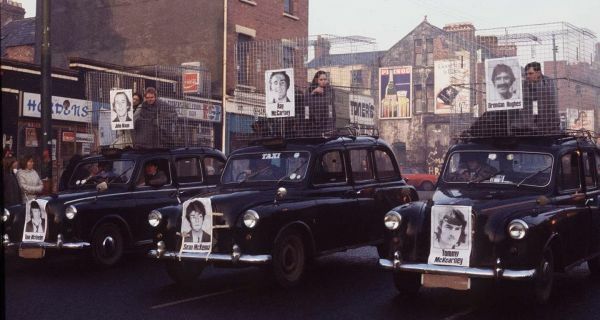 The 10 deaths of the hunger strikers from 1981, like the sacrifices of 1916, are a testament to almost a thousand years of resistance and sacrifices calculatedly made, by a considerable body of Irishmen and women outside the total of 22 Irish hunger strikers who asserted the same right to self-determination, in all parts of the island of Ireland and to free themselves and their people from British imperialism, colonialism and repression. Of course it is much easier to be wise in hindsight and to continue on with this controversy, distracting from the central reason why these ultimate sacrifices were made. Of course those mentored revisionist, Irish historians and would be intellectuals, will distract and detract from the core values of resistance made, to serve basic British interests, with disinformation. They serve only to further the purpose of dividing Irish people and traditional republican resistance among themselves. Writing as someone who disagrees strongly, with the underhand methods used to enable and sell a Peace Process without Due Process in Ireland, who was quite familiar with the events and the people involved around the hunger strike, I find it equally repulsive to watch good republicans like Danny Morrison and others whom I strongly disagree with today, being politically abused, with British disinformation and self serving, egotistical Irish revisionist historians, serving British interests of creating even further division. Sincere people in all of the various Irish republican groups and parties, need to look carefully and recognize for the sake of future generations, that we all have far more in common with each other, than that which would divide us in our principled disagreements. However this is not managed intelligently, it will most certainly be exploited by the British and will destroy us in the face of our heartless, amused enemies. We need to find a way to advance the Cause of Ireland without throwing our babies out with the bathwater. It is time for reasonable people from all parties, to conclude this phase of struggle, with proper protection, from both State terrorism and revolutionary violence, so that political activists can conduct their activity in a transparent manner. This needs to also include, the right of the majority in the 'movement,' to bring about change, either by ballot or sufficient peaceful numbers on the street. It needs to also include the civil right, to peaceful civil disobedience without violence from any party. Essentially the process needs the guarantees of a Bill of Rights, along with the return of traditional rights like Habeus Corpus. A hunger strike protest on the Falls Road in 1981. Two key republican figures remained in deep dispute last night about the content ofThatcher Foundation archive papers released last week that relate to the 1981 hunger strikes at the Maze prison, in which 10 men died. Former IRA prisoner Richard O’Rawe argued yesterday that the papers demonstrated that in early July 1981 there were the makings of deal that would have solved the hunger strikes when just four men had died. He said republican prisoners accepted the offer but it was overruled by the IRA. The former Sinn Féin director of publicity Danny Morrison countered that while there had been some “opening statements” about how to put together a British government offer to resolve the strikes, nothing approaching a concrete offer was available at the time. The Thatcher papers show how the contact known as “Soon”, the Derry businessmanBrendan Duddy, engaged in intermediary talks between senior British officials and “Provisional” republicans at a time when four protesters had died. One long memo in particular illustrates how Mr Duddy, acting as a mediator between senior Provisional republicans that included Mr Morrison, Gerry Adams and Martin McGuinness and senior British officials, made eight phone calls to the officials in an effort to fashion a deal to end the hunger strikes. This was on the weekend of July 4th and 5th 1981, shortly before the death of the fifth hunger striker, Joe McDonnell, on July 8th. As part of that mediation Mr Morrison was allowed into the prison on July 5th to contact some of the prisoners. What happened in those meetings, and in those go-between contacts with British officials, has led to the continuing bitter dispute between senior republican figures of the time – such as Mr Adams, Mr McGuinness and Mr Morrison – and Mr O’Rawe over whether or not the protest could or should have ended at that stage. Mr O’Rawe repeated yesterday that at that time the prisoners’ leadership accepted an offer to end the strike but that this was overruled by the IRA. He believed this was to assist the political ambitions of Sinn Féin, and to facilitate Owen Carron in August taking the Fermanagh-South Tyrone seat in a vacancy caused by the death of Bobby Sands. Mr Morrison responded yesterday that he did not have a specific offer to put to the prisoners when he went into the prison on July 5th and that the prisoners did not accept any offer at the time.